Food storage and distribution units for the hospitality industry. Victor Manufacturing’s products include; hot cupboards, banquetline, table top displays, modular counters, retail displays, synergy drop ins. Victor Manufacturing are a UK based business with over 70 years within the industry providing an extensive range of products designed for a variety of business types. They even provide bespoke designed counters, allowing you to create the perfect solution for your business. Knight Catering Services are experienced in the sales, installations, servicing, and repairs of Victor Manufacturing equipment; allowing us to be your one-stop-shop for all of your requirements. 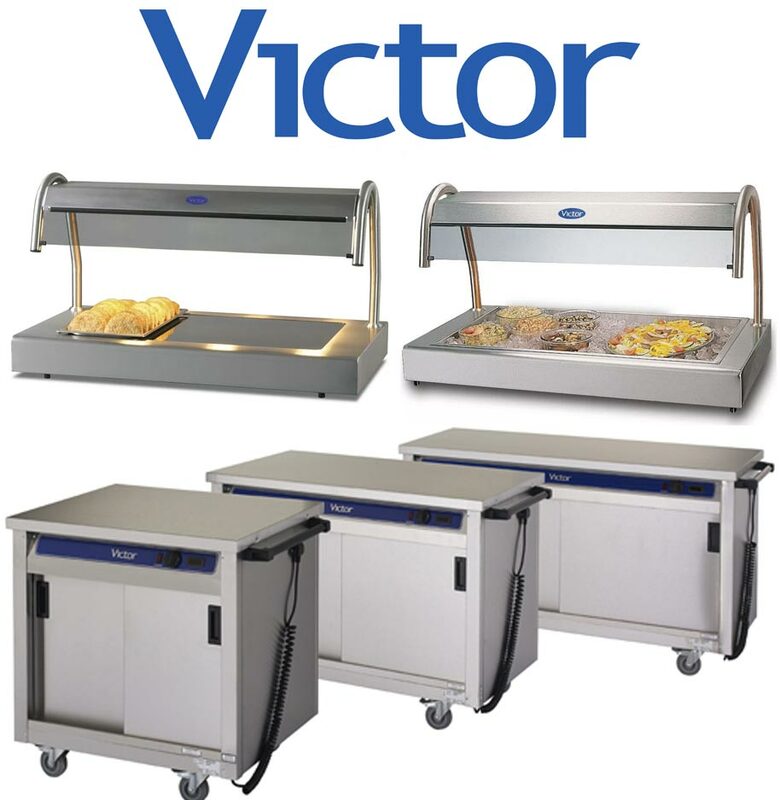 Knight Catering Services are an experienced, local distributor of Victor Manufacturing products, and are able to help you find the perfect unit to suit your business. Protect your equipment from the event of a breakdown with equipment servicing. Kitchen maintenance plans available, get in touch for more information. Prompt repairs service, often able to be onsite within 24 hours of your initial phonecall if your business is within Hampshire.